374 pages | 70 B/W Illus. 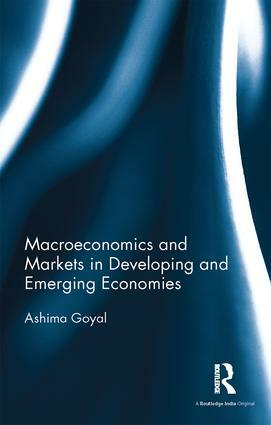 Ashima Goyal is Professor at the Indira Gandhi Institute of Development Research, Mumbai, India. She is the author of the book Developing Economy Macroeconomics: Fresh Perspectives (1999) as well as numerous research articles and is editor of Macroeconomics and Markets in India: Good Luck or Good Policy? (2012), Handbook of the Indian Economy in the 21st Century: Understanding the Inherent Dynamism (2014) and A Concise Handbook of the Indian Economy in the 21st Century (2015). She was Visiting Fellow at the Economic Growth Centre, Yale University, and a Fulbright Senior Research Fellow at Claremont Graduate University, USA. She won two best research awards at GDN meetings in Tokyo (2000) and Rio de Janeiro (2001), was selected as one of the four most powerful women in economics and a thought leader by Business Today (2008) and was the first Professor P. R. Brahmananda Memorial Research Grant awardee (2011) for a study on the History of Monetary Policy in India since Independence (2014).